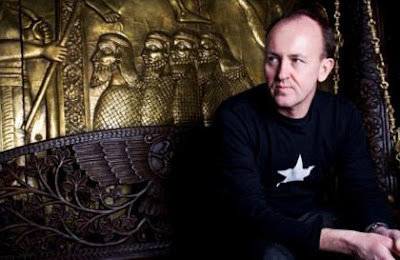 Danny Rampling has been a stalwart of the UK dance music scene pretty much from day dot. Along with the likes of Paul Oakenfold and Nicky Holloway, he is credited as one of the group of DJs who brought the Balearic rave scene back to these shores from Ibiza in 1987. Since then his production and DJ career has gone from strength to strength having promoted his own seminal night ‘Shoom’ before going on to hold down long-running prime time slots on Kiss FM and BBC Radio 1, as well as remix many UK and international artists. So we were absolutely delighted to hear that Danny has endorsed Point Blank in his book, ‘Everything you Need to Know About DJing and Success’. He said “Point Blank is one of the best-known and authoritative DJ and music production audio schools in the UK”. We are also very excited to announce that Danny will be giving an live online music industry masterclass through our Livestream channel in early 2011 so keep your eyes peeled for more news on that.